A Collection of 4 vintage globes, all circa mid 20th century. 1st item: George Cram paper mache globe with metal stand, scattered areas of loss to paper, 1/4" and smaller, 2" light or repaired crack near north pole, few small dents including 1/2" light dent in Indian Ocean, 1" dent in Atlantic. 10" H. 2nd item: J. Chien & Co., lithographed tin with zodiac and calendar ring on simulated wood grain base, 9" H. 4th item: Reliable Series Lithographed Tin Globe, 8" H. Globe has been put back together and is upside down, several dents. 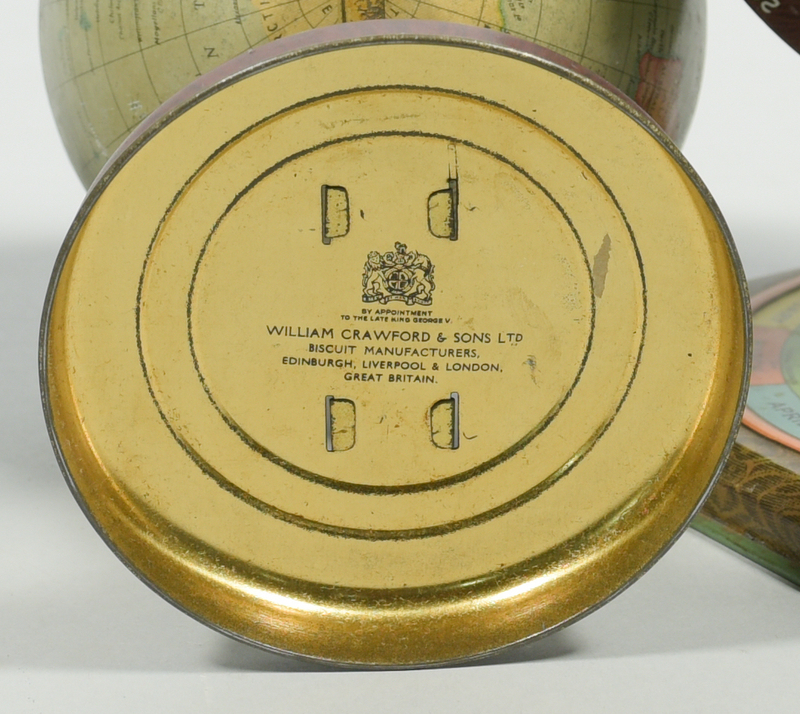 5th item: Paper covered tin globe, no maker's mark, in metal stand, 9" H. Scattered small dents and abrasions. CONDITION: All show some wear and signs of use, see item description above.